Welcome to my website. I hope that the site gives you some idea of how I work and how I see counselling working. I am a counsellor, psychotherapist, supervisor & trainer. I work with relationships, individuals, adults and adolescents. An intelligent, positive and warm person who works with a great deal of integrity. Dedicated to finding the best ways of working to be most helpful to clients. Humanistic/Person Centred orientation as well as trained in Cognitive Behavioural Therapy (CBT). Currently lecturing at Marjon university and undertaking doctoral studies. 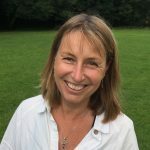 She has worked as a counsellor in volunteer agencies, schools, universities, GP practices and also in private practices. Juliana is registered and holds senior accreditation status with the British Association of Counsellors and Psychotherapists (BACP).